The cutaneous (skin) porphyrias can all give sensitivity to sunlight, on exposed areas of skin. As with all porphyrias, the severity of the problem varies enormously. Exposure of the skin to sunlight should be avoided as much as possible. When avoiding sunlight is not possible, special sunblocks which block visible light can help. Hats and clothing which cover up the skin are also recommended. As EPP is characterised by sensitivity mainly to visible light, conventional sunscreens that are formulated to protect against just ultraviolet (particularly UVB) are simply ineffective. Reflectant sunscreens that are based on titanium dioxide or zinc oxide will be more effective as they cover both UVA, UVB, and visible light to a degree. In the UK, the SPF (sun protection factor) number tells you how effective the sunscreen is for UVB, and the star rating (usually found on the back of the bottle, with a maximum 4 stars) gives a measure of the UVA protection. An example of a reflecant sun screen is the Dundee Reflectant Sunscreen and if you haven’t already used Dundee Cream it’s worth a try. Ask your GP to prescribe it for you. Your GP/chemist will need to contact Dundee Pharmaceuticals, Ninewells Hospital, Dundee. DD1 9SY, telephone: 01382 632052. Dundee Cream comes in three colours: beige, white and coffee. For further useful information check out British Association of Dermatologists website www.bad.org.uk and type in porphyria on the top left search bar. Wearing clothing such as long-sleeved close-knit fabric tops and long trousers during the summer months is a must. Gloves are useful especially when driving. A buff can help to protect the vulnerable neck area and shoes rather than sandals can protect the feet. Wide-brimmed hats can help, while using an umbrella whilst shadow hopping is an idea. UV protective clothing which you may wish to try can be found on websites such as www.suninsight.com, www.equatorsun.com and www.coolibar.com. Useful UV reflective umbrellas can be purchased from www.umbrellaheaven.com. The light that protoporphyrin absorbs is different from that which causes ordinary sunburn. Usually sunburn is caused by the shorter wavelengths of ultraviolet light (UVB), but in EPP the skin is more sensitive to longer ultraviolet wavelengths (UVA) and to visible light, EPP pain is due to violet light at 400-420nm. However, amber films give almost 100% protection for EPP patients. 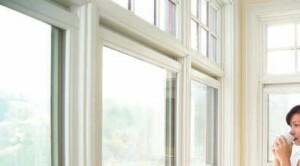 Amber films are suitable for almost any window. The only windows amber film cannot be installed to, are the driver and passenger windows of a car, as only clear films may be installed to these windows under DVLA Regulations.